This post contains Affiliate Links, which are marked "AD". As I mentioned in my 4 Ways To Spice Up Your Outerwear post, I'm getting a little impatient for spring just now. 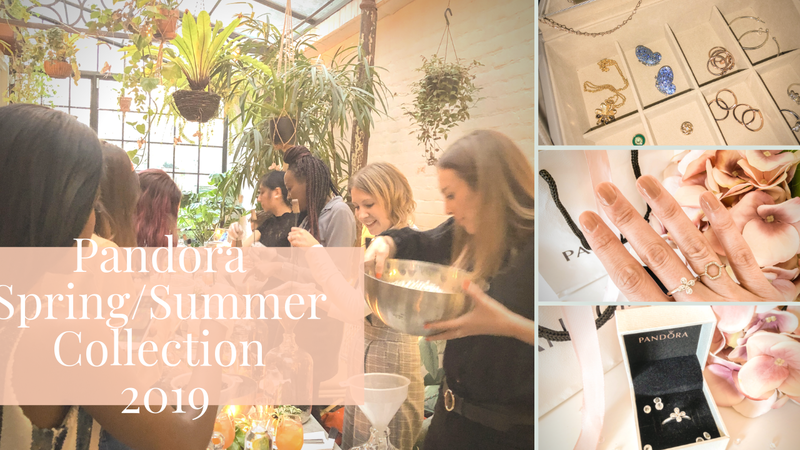 But winter definitely has its plus points, and I've been taking full advantage of these cold, dark evenings to cosy up at home and enjoy a few extra pamper nights. 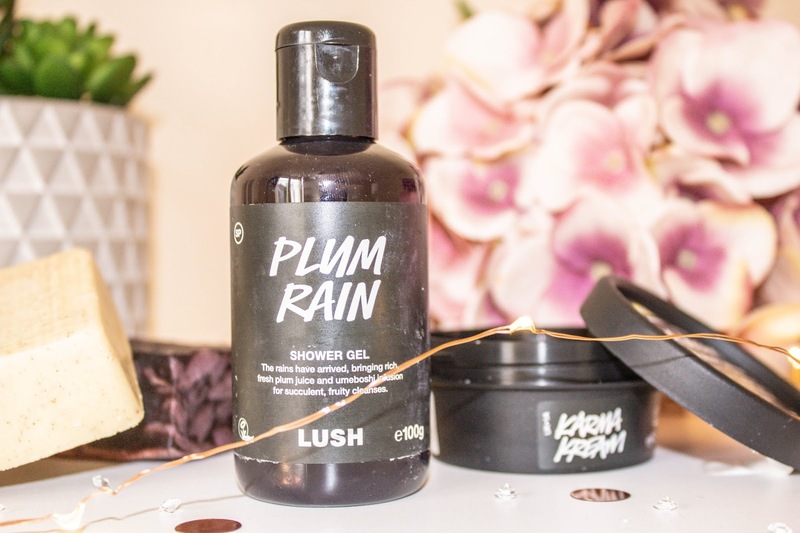 I was given quite a few bits and pieces at Christmas which I've been loving using, from two of my favourite beauty retailers, Lush and Rituals. I love receiving gifts like this at Christmas as it often gives you the opportunity to try things you might not think to buy yourself, which is always lovely. 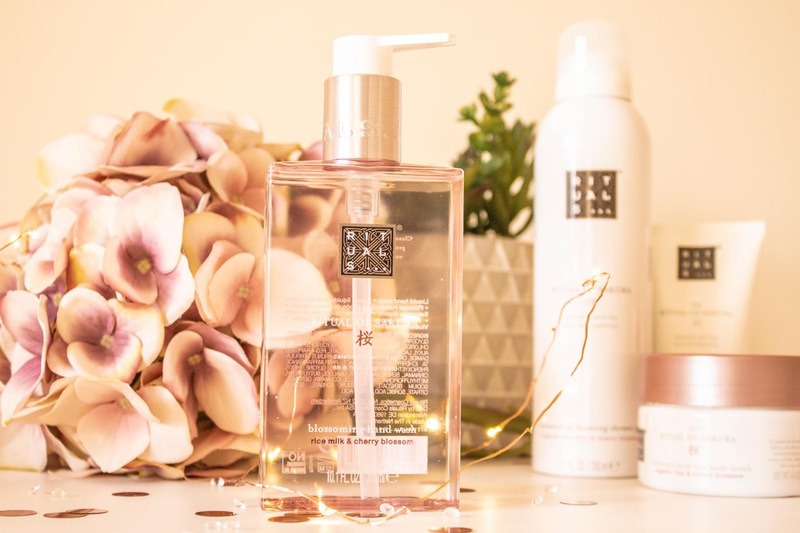 So, I thought I would share with you the pampering products I'm currently loving. This is absolutely gorgeous. 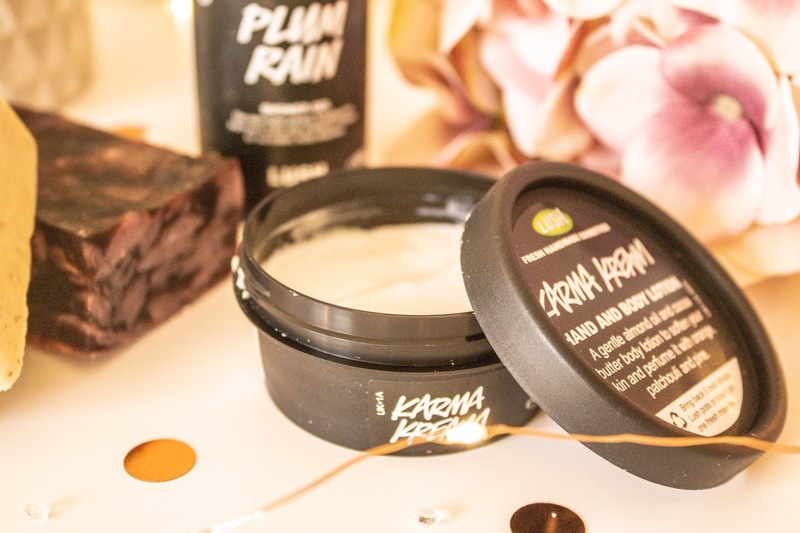 Smells fruity and good enough to eat, lathers up like a dream and leaves my skin feeling smooth and soft after my shower. If you prefer hand and body creams that absorb instantly into the skin, you need to try this. It's super light and yet nourishing at the same time and does a great job of softening my rough winter hands! Contains almond oil and cocoa butter. I would never have thought to buy a body scrub product in a bar before, but it's actually a brilliant idea, combining the body brushing technique I already enjoy with a conditioning and moisturising scrub. 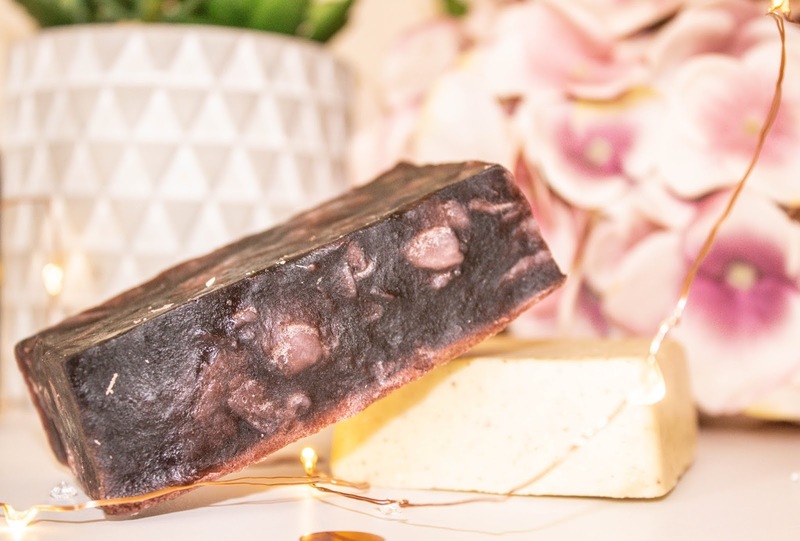 Ground rice, almonds and aduki beans slough away dead skin cells while cocoa and shea butters combined with lavender oil add moisture back into the skin. Lovely! Another product I never buy in bar form is soap. I find the liquid kind you can dispense from a bottle much more practical, but this one is so pretty to look at that I am willing to make an exception for it. It smells of blackcurrants and leaves my hands feeling soft as well as clean - unusual for hard soap in my experience. 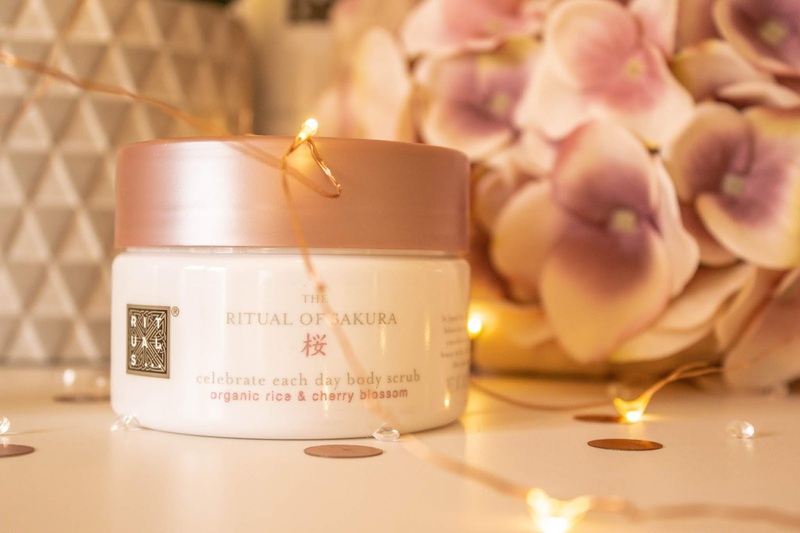 The Sakura range from Rituals has been a favourite of mine for a while now - the cherry blossom scent of the products is so delicate and beautiful. 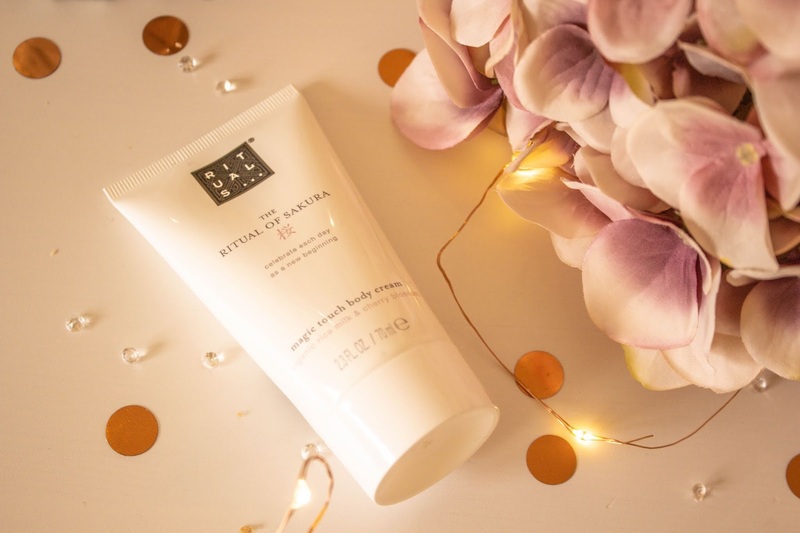 This body scrub is more of a traditional one than Lush Buffy, but just as effective at gently exfoliating the skin while also adding moisture. Who wouldn't want their skin to smell like cherry blossom?! This is a gorgeous body cream with a light, whipped texture. A great one to put one before a night out as it absorbs quickly and leaves the skin delicately fragranced and lightly moisturised. Having pretty bottles of hand wash to put beside the sinks in my home is one of those little things in life that brings me a lot of pleasure. This one really is lovely looking and of course smells beautiful too. Foaming shower gels are a lot of fun to use, feel lovely and light on the skin and can even double up as shaving foam! It's one of those items that you can never have too many of and this one is a lovely little everyday luxury. Are you a fan of Lush or Rituals? What pampering products are you loving at the moment? I love the scent of the Sakura line! 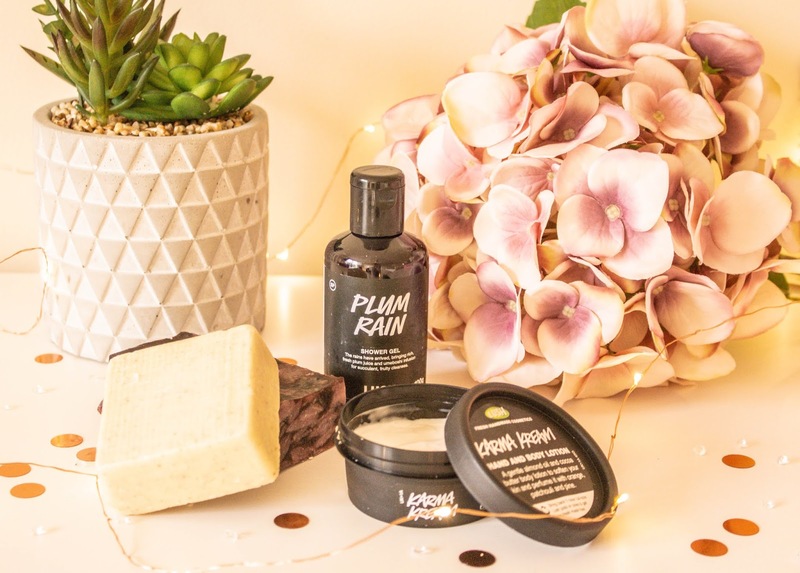 From Lush I use the Ro´s Argan Oil Body Conditioner in winter, it provides some extra hydration to my dry body skin and even gets me over a day or two without moisturizing. I am obsessed with Ritual Foaming Shower Gel. I honestly think it's the nicest shower gel I've ever used! I'm so ready for spring!! It's been bitterly cold. I have not tried any of these products but I've heard great things about all of them!! 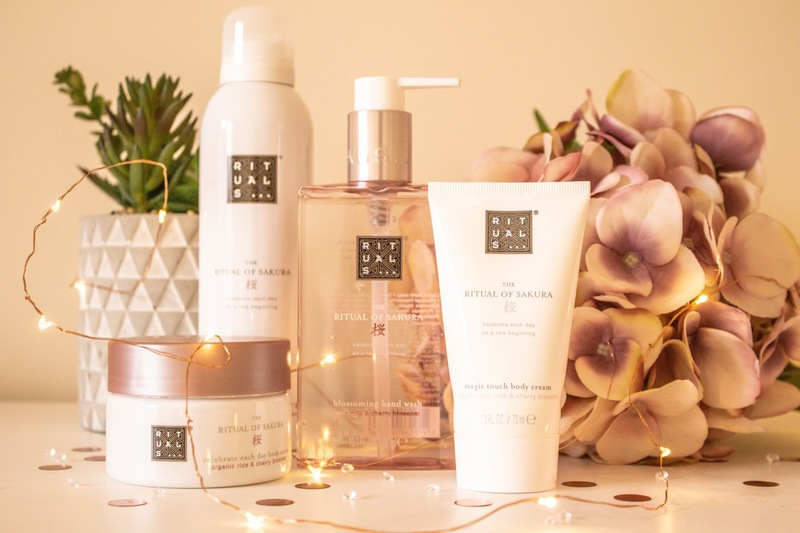 I've been wanting to try Rituals! 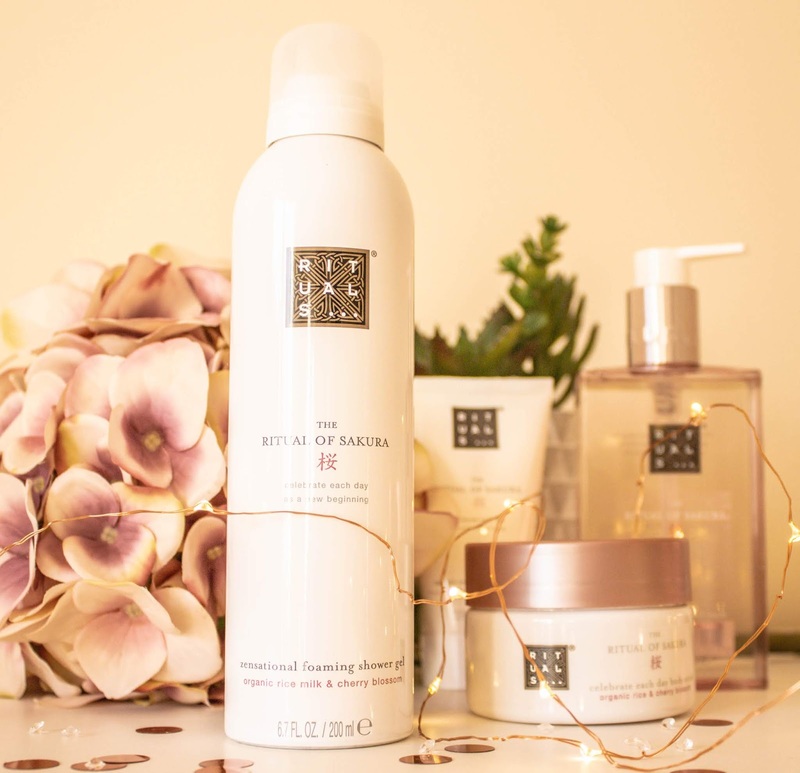 I absolutely love the Rituals brand! I first came across them when I was shopping in France and now I'm obsessed! I have never tried Lush and I have stores near me. I need to make a point to visit and try them out. Rituals is a new to me brand, thanks for the recommendations. These products sounds amazing. Thank you for sharing them in your post ! The buffy body scrub sounds like something I'd like. Great post! Self care is really important and I often for get to do it. These sound so good. I'm a fan of Lush, but I haven't used their product for awhile. Thanks for sharing, Kate. I swear I am the only person who is not a fan of Lush but Rituals products sound absolutely heavenly! Love a great body scrub in the winter. Lush products never disappoint.